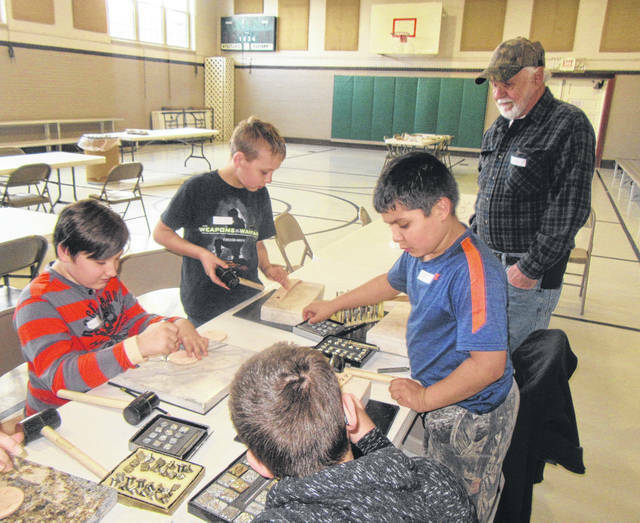 Students from Meigs Intermediate School work on leather craft items during their trip to Yesteryear. Among the items learned in the kitchen were bread and noodle making. Students learned to make candles by dipping the string into the wax and then into cold water. Repeating the steps makes the candle larger and can add additional colors. 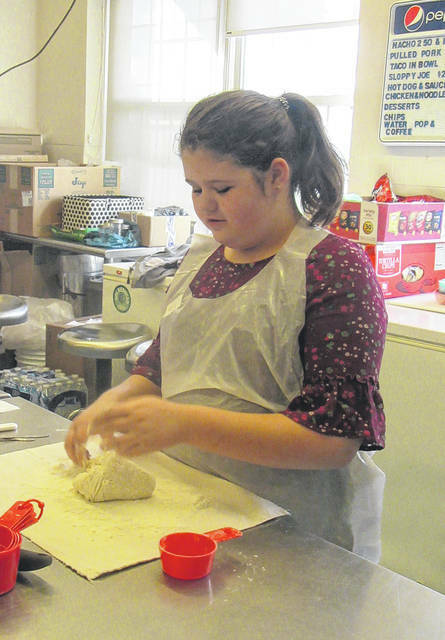 Working the dough was part of the skills students were taught in the kitchen. 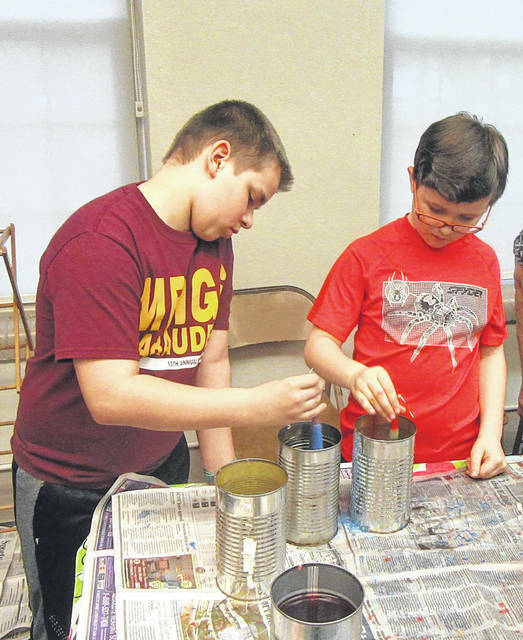 Making rag baskets was no easy task as students learned during their visit to Yesteryear. 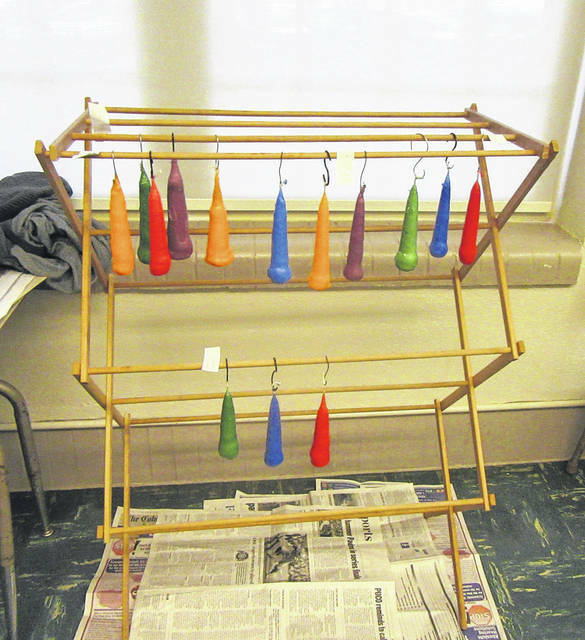 Candles hang to dry before the students take the items home. 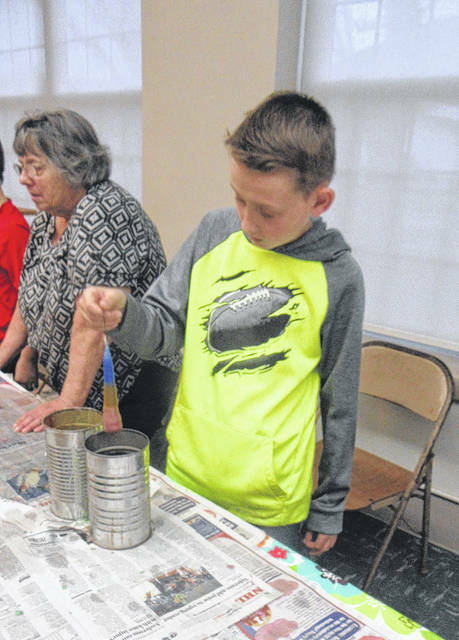 SYRACUSE — While today’s youth may never experience exactly what life was like decades ago, for some fifth graders in the county, a recent field trip provided a glimpse into the ways of life for past generations. 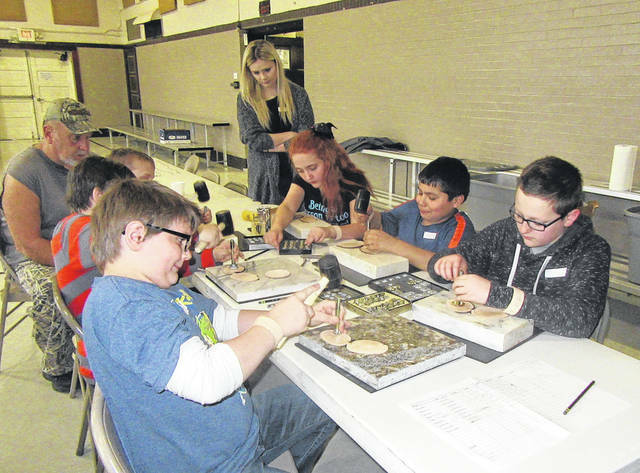 For the past 33 years, students from schools around the county have taken part in the Yesteryear program, which is now held at the Syracuse Community Center. 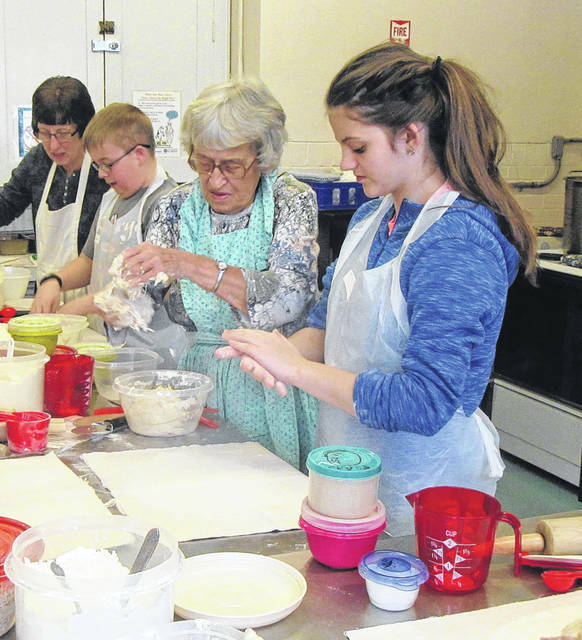 Volunteers of all ages assist students with learning the skills of the past, whether it be making candles or noodles, or other items. The program for several years was through RSVP (Retired Senior Volunteer Program) which meant volunteers had to be 60 or older, now volunteers may be anyone 18 years of age or older. Each of the students is able to select the type of skills he or she would like to learn, with the selections for this year including creating candles by dipping wicks in hot wax, making noodles and breads from “scratch,” forming rag baskets from fabric wrapped rope, making money pouches and other items from leather, and tin punching. At the end of the day each student takes home their project. Diana Coates from the Meigs County Council on Aging works to organize the events of the day, including the scheduling of volunteers and students. 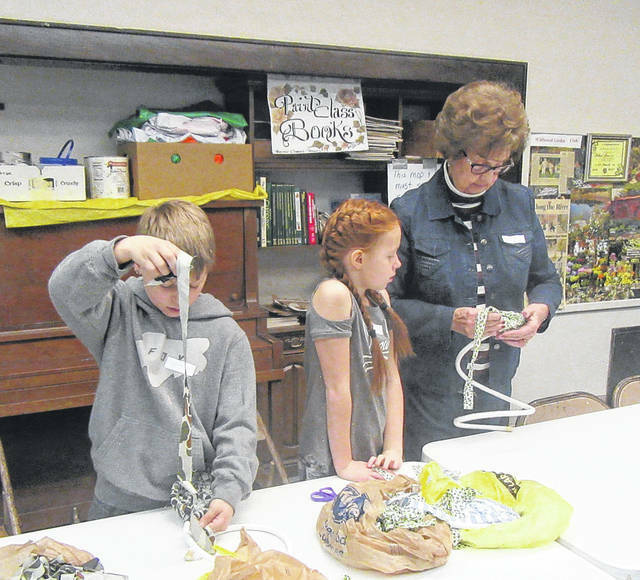 In addition to learning the skills and making their own items, the students see a movie about the history of Meigs County, and view exhibits of homemaking items used years ago. Among the items are an egg box which eggs were sent to other individuals in, an antique mouse trap, and banners of the past including a covered bridge, outhouse, barn and vehicle.